Project Concern International (PCI) CDC REACH ALCANCE and CLIMB programs offer a 10-week Community Health Work (CHW) Leadership Academy to Latinos and to individuals from multi-ethnic groups. 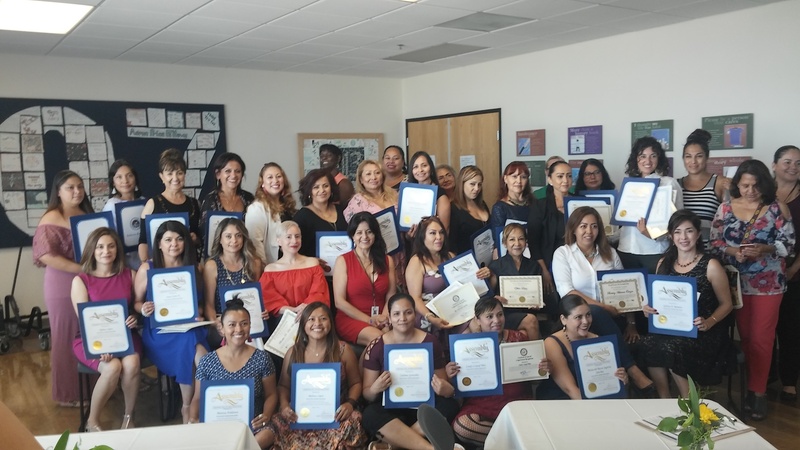 PCI recently celebrated the graduation of 61 CHWs (total of 581 since the inception of both programs). 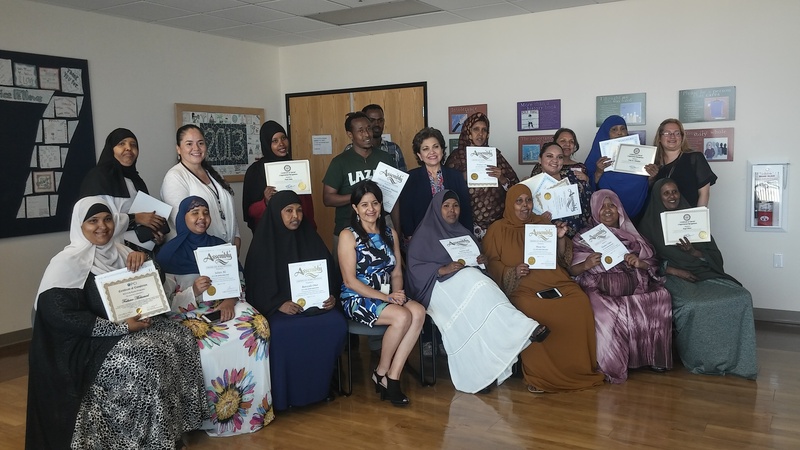 The Leadership Academy focuses on training CHWs on the prevention of heart disease, stroke, diabetes and cancer to educate not only themselves, but also their families and other community members. Participants received training on healthy eating (water consumption, fewer sugary drinks and a balanced diet) and improving exercise habits (i.e. walking, jogging, mediation and stress control). Participants were trained on how to use the Referral Pathway Tools (RPTs) to refer themselves or others to community clinics and health associations through RPT-1 (referral to clinic partners: La Maestra Community Clinic, Family Health Centers of San Diego, Mid-City Community Clinic, and Operation Samahan) and RPT-2 (referral to national health associations: American Heart Association, American Stroke Association, American Diabetic Association, American Cancer Society, American Lung Association). The practicum for the Leadership Academy provided participants with the opportunity to share what they learned with their families, friends, and other community members. The training also provided key messages on the prevention of chronic diseases and referred people to clinics and relevant associations. As part of their personal development, participants also gained skills in leadership, communication, public speaking, and policy engagement. For more information please contact Connie Lafuente at clafuente@pciglobal.org.